Tomorrow may be your last chance to see Severe Clear in a theater when the film screens at LA’s Archlight Cinemas as part of IDA’s 13th Annual DocuWeeks showcase. I’ve sat on the a DVD screener of the film for a couple weeks now, partly because of the day job and partly because the last thing I really want to do is watch another Iraq War documentary. 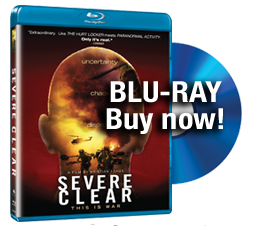 If you’re like me, feeling a little Iraq fatigue, you owe it to yourself to see Severe Clear, which does for Iraq War docs what The Hurt Locker did for narrative features. 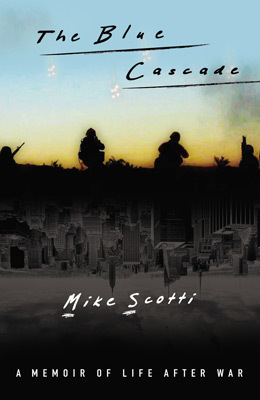 Told using DV footage shot by Mike Scotti and a few of his fellow marines, as well as voice over narration taken from Scotti’s memoir, Severe Clear leads us through the invasion of Iraq up to the occupation of Baghdad from the soldiers’ perspective. The crisp, sharply edited feature gives us a glimpse at the war very literally through the eyes of soldiers. Sometimes they’re just goofing off. Sometimes they’re calling in artillery fire. But Severe Clear also graphically shows us what the war looks like to the soldiers who are fighting it. I’m not in the camp that would call any war film apolitical, which many reviewers do for both The Hurt Locker . Scotti’s lament at the end of the film, his frustration over coming home to a country that doesn’t know its at war, is at least a call for understanding. As the film progresses, we hear references to Apocalypse Now and easily recall the experience of watching Jarhead or Full Metal Jacket. Scotti and the director Kristian Fraga know that in America the camera is the best way to get our attention. Do they get it? As long as this film is languishing in documentary showcases, the job isn’t done. Do they deserve it? Oh, yes they do.